The stage during which sensory input and motor responses become coordinated, the child put everything he gets in his mouth and plays with the “Chance” card. 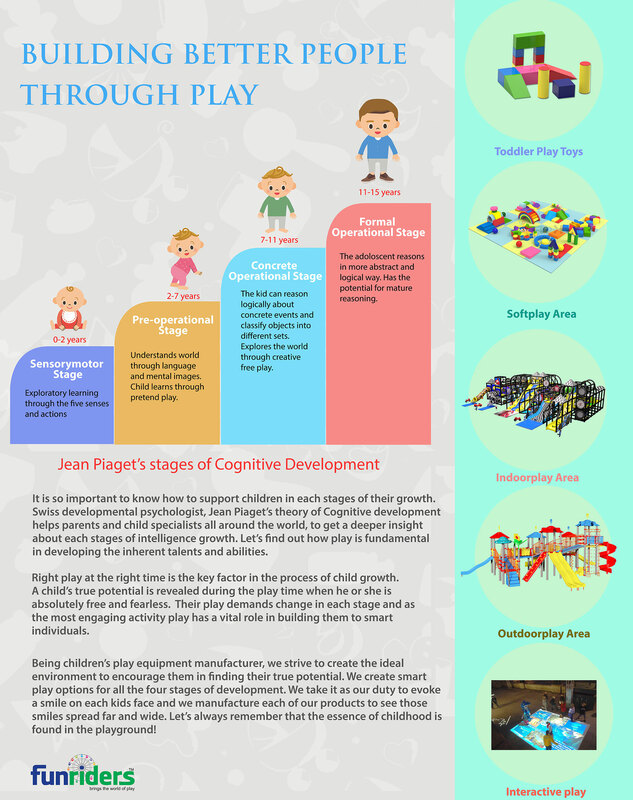 Active play with child is most effective at this stage. Encourage explorations in touching, smelling, and manipulating objects. Peekaboo is a good way to establish the permanence of objects. Indoor soft play toys are a better option as they are weightless, soft and secure compared to other play toys. We have a fantastic collection of toddler toys which are exclusively made for the sensory play. The period of cognitive development when children begin to use language and think symbolically, yet remain intuitive and egocentric. The child plays Monopoly, but make up his own rules and cannot understand instructions, specific examples and touching or seeing things continues to be more useful than verbal explanations. Learning the concept of conservation may be aided by demonstrations with soft toys, liquids, beads, clay, and other substances. 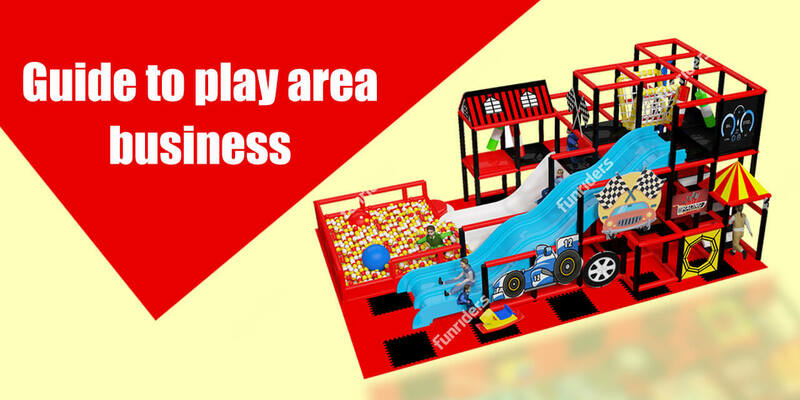 The kids play equipment range of Funriders is always expanding. We have innovative play ideas and our kids rage includes multifunction soft toys, play equipment for individual and group play; slides,swings,rockers, merry go rounds, thriller rides, multi fun system, interactive play zone…the list goes on!! The period of cognitive development during which children begin to use concepts of time,space, volume, and number, but in ways that remain simplified and concrete. The child understands basic instructions and will play by the rules but is not capable of hypothetical transactions dealing with mortgages, loans, and special, pacts with other players. Children are beginning to use generalizations, but they still require specific examples to grasp many ideas. Expect a degree of inconsistency in the child’s ability to apply concepts of time, space, quantity, and volume to new situations. We have magnificent play equipment for the adventure seekers and play enthusiasts. Our extensive range of play options includes both indoor and outdoor activities. The period of Intellectual development marked by a capacity for abstract, theoretical, and hypothetical thinking. The child no longer plays the game mechanically; complex and hypothetical transactions unique to each game are now possible. It is now more effective to explain things verbally or symbolically and to help children master general rules and principles. Encourage the child to create hypotheses and to imagine how things could be. Our interactive play options and adventure play equipment such as ninja course and trampoline are just right for the adolescents.